COWBELL CHOCOLATE GIVEAWAY IS FINALLY HERE!!!! 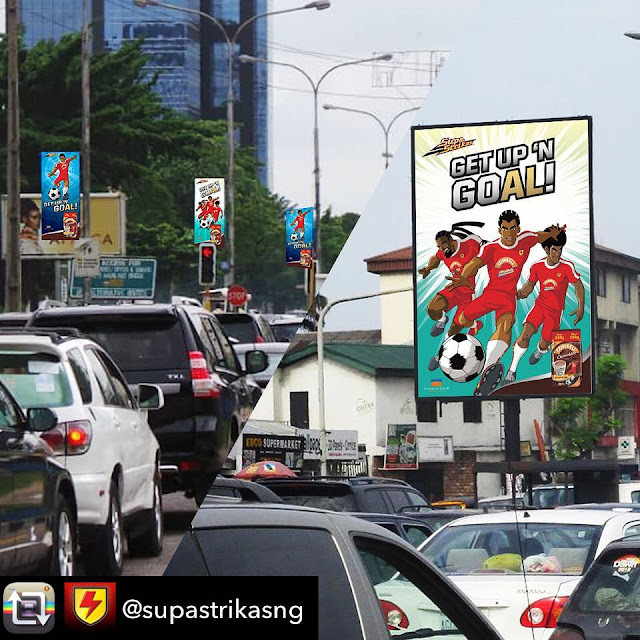 “Have you seen the new and exciting Supa Strikas look of Cowbell Chocolate refill packs and sachets?” Even more exciting are the billboards and lamp poles adverts across Nigeria! Step 2- Take a picture of yourself with any of the adverts (either lamp poles, regular or digital billboards). The ads must be showing in the background of the picture. Step 3- Tag us @cowbellmilk & @supastrikasng in the image; stating the location of where the picture was taken in your caption. Step 4- Send a direct message to the Supa Strikas account stating your name, age, address and phone number. The top 3 entries with the most likes would be given special prizes and over 20 interesting entries would win exciting goodies courtesy of Cowbell Chocolate. Winners would be announced shortly after. Entries close on 31st of July 2018.